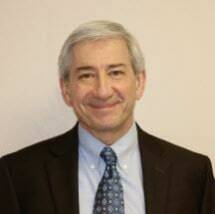 Bernard T. Neuner is a lawyer, mediator and arbitrator. He is a member of the New Jersey, Massachusetts and Rhode Island Bars. He has been practicing law since 1986 and has practiced primarily in family law since 1990 when he was admitted to the New Jersey Bar. He received a B.A. from Williams College in 1983 and a J.D. from Boston College Law School in 1986. He has been a Family Law Mediator since 1998, and a member of the faculty of Seton Hall University's Institute for Dispute Resolution. He was certified as a Family Law arbitrator by the National Academy of Matrimonial Lawyers in 2010. He was awarded the Warren County Bar Association's Professionalism Award in 2010. Outside of family law, he represents the National Hockey League and Major League Baseball players in salary arbitrations. In 2011, he and the NHL Players Association won the largest salary arbitration award in NHL history for a very deserving player.